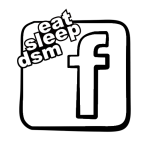 I'm chris Morrison (from Alabama), I've been on eat sleep DSM on Facebook for a little while. I've owned my 91 eagle talon tsi awd 5speed for 7 months now. *most of which it wasn't running. I've found my way around this car like any other, and have learned more on it in the little time I've had it then any other I've owned. I've had interest in the dsm's for years, but haven't found the one I wanted until now. I look forward to being an active member on here and continuing to help on ESD (facebook). Hey Chris, welcome to the forums lol.